Adam Wogsland - North Dakota - Book a consultation instantly! 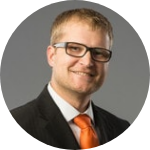 Adam Wogsland is a business law, estate planning & real estate attorney in Fargo, ND. Adam co-founded Severson, Wogsland & Liebl, PC, after working and becoming a shareholder in a law firm based in Fargo and Williston. Before that, Adam clerked for the eight judges in North Dakota’s East Central Judicial District. Adam attended Jamestown College in Jamestown, North Dakota, earning Bachelor of Arts degrees in History/Political Science and Criminal Justice. Adam was named College Fellow in each of his majors, an honor awarded by faculty which allows students to tutor or teach under the direction of the department chair. He was also inducted into the Alpha Chi Honor Society (given to students in the top 10% of the institution’s graduating class). After graduating from Jamestown College, Adam attended the University of North Dakota School of Law. There, Adam concentrated on estate planning and business-related courses. Adam earned an externship placement with Judge Kermit Bye in the United States Court of Appeals for the Eighth Circuit, was named to the Order of Barristers (for recognition of advocacy skills), served on the Moot Court Board, and graduated with distinction. Adam grew up on a family farm in the small town of Walum, North Dakota, and later moved to nearby Cooperstown, North Dakota. Adam met his wife, Coley, while attending Jamestown College. In his free time, he golfs as much as North Dakota weather permits, still tries to compete in amateur basketball, hunts, snowboards, and spends time with family and friends. Adam also spends a lot of time trying to get his two bulldogs, Wally and Winnie, to behave.